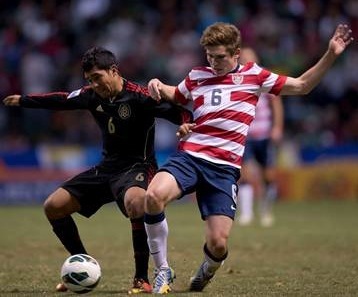 For anyone who has followed the U.S. Under-20 Men's National Team leading up to the 2013 FIFA U-20 World Cup, they would know just how consistent and essential midfielder Wil Trapp has been throughout the year for this group. The Gahanna, Ohio, native rose through the ranks at the Columbus Crew's Development Academy, earned a professional homegrown contract with the club late last year, and now he is coming off a 1-1 draw against France on June 24 in the U-20 World Cup -- a game that featured Trapp wearing the captain's armband. Watching Trapp's rise front-and-center has been Crew technical director Brian Bliss, who joined the MLS organization in 2008 and has been Trapp's assistant coach for the U-20 MNT and head coach Tab Ramos. "He was the crown jewel in our system ever since he was about 14," Bliss said. "We have signed some previous homegrown players before Wil, but none had the accomplishments that Wil had at the youth level and college, as well."